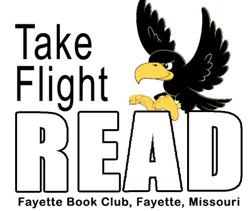 A service project of the Fayette Book Club designed to encourage reading through the distribution of age-appropriate books that children can read and keep. The Fayette Book Club was founded in 1907 by ten women interested in their intellectual growth, the welfare of the town and the establishment of a town library. From 1911 to 1914, prior to the 1915 dedication of the Fayette Public Library, members of the Book Club operated a lending library at the Hotel Howard. Today the Book Club continues its support of the Howard County Public Library. Several meetings a year are set aside for volunteer projects at the library. An annual Christmas gift is given to the library plus additional donations from time to time. In 2008 the Fayette Book Club Celebrated its 100th Anniversary with a reception at the library and a donation to the library - plus a goal of 100+ hours of service by club members. Bring a wrapped ornament to exchange.